This shop was selling fresh durian. 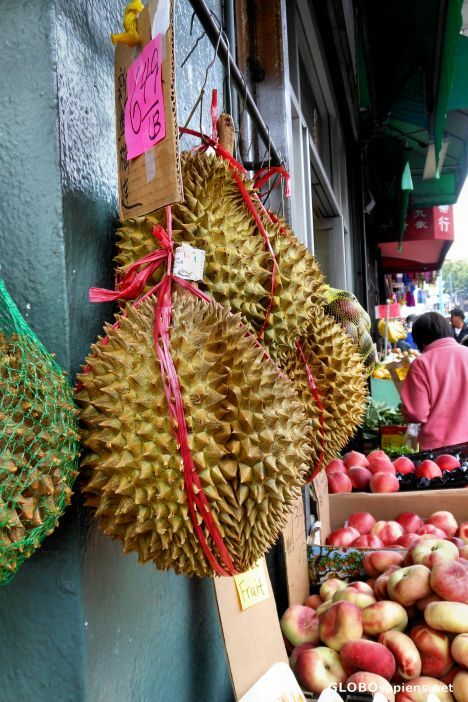 Usually the durians that you buy in the SF bay area are the frozen Thai mornthong variety. The fresh is a lot more expensive than the frozen, but tastes better. I was also able to try my first mangosteen here; they normally sell in by the bag but were able to spli the bag so that I could buy two. Mangosteens are also expensive, but they were very tasty.